"Two gorillas and their chum. At the sound the people come. 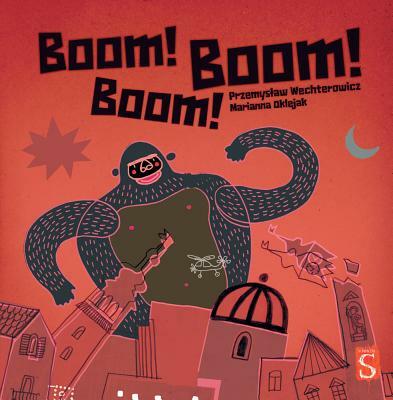 BOOM BOOM BOOM " As the trio dances to the music of the drums, moving and grooving through the jungle and into the city, they're joined by a host of other animals and people who can't resist the infectious rhythm. The delightful rhymes and lively, colorful pictures will soon have kids jumping in, too. Przemyslaw Wechterowicz is a Polish author who has written children's picture books, poetry, and plays. His works have received prestigious awards in Poland, including the Warsaw Book award. Marianna Oklejak is a graphic designer and illustrator of children's books based in Warsaw, Poland. She graduated from the Academy of Fine Arts in Warsaw.